Need to add VAT, GSA or your local tax? Here's how to. 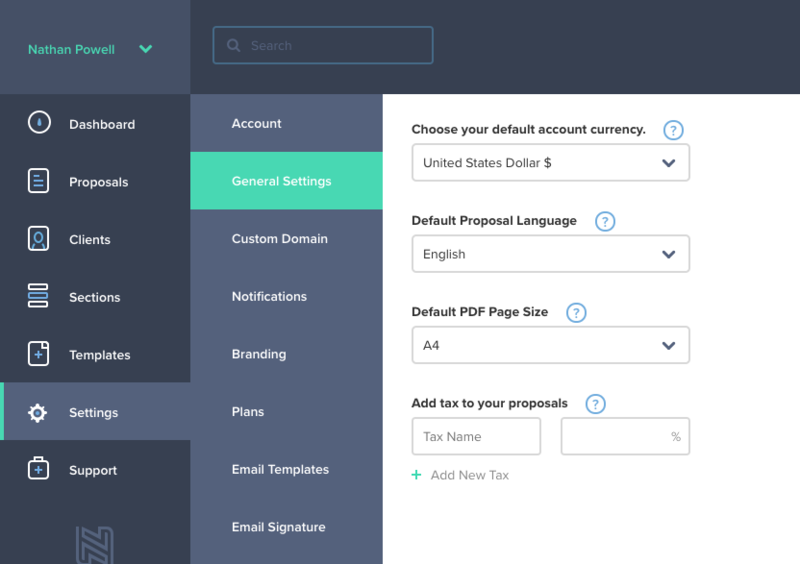 To setup your taxes head over to Settings / General Here you'll see the Tax input field. It autosaves, so no need to worry here. You can add multiple taxes here, we know some countries use both a positive and negative tax. Once you have input you tax rates, your good to go! 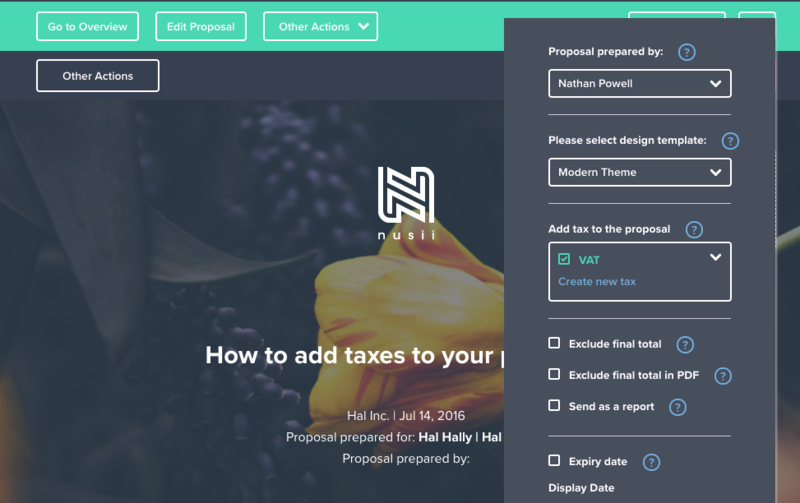 To apply a tax to a particular proposal you can use either the Edit mode, or Preview. It doesn't matter. In this example we'll take care of in whilst in Preview mode, that way we can see our changes immediately reflected. Click the proposal settings icon and you'll be presented with the following options. You can see we have selected our saved tax, in this case VAT. 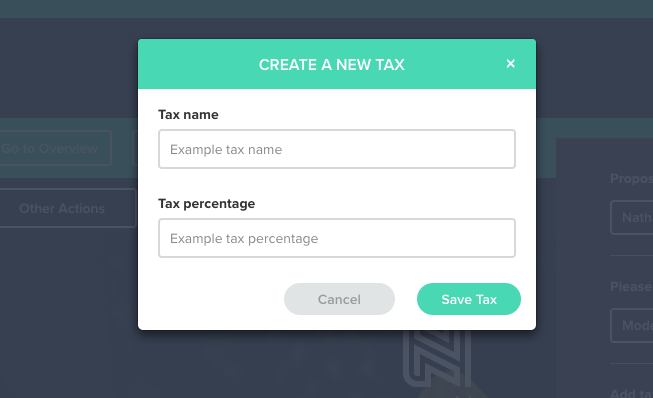 If you need to create a new tax from here, click on the 'Create new tax' text. A modal will popup where you can do just this. Just click on Save Tax and you can then insert it into your proposal!